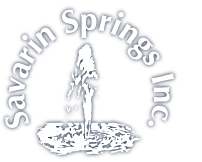 For bottled water delivery and water cooler rentals in the Kitchener, Waterloo, Guelph and surrounding areas, contact Savarin Springs Inc. We’ve provided top-quality spring and R.O. water to our customers for over 25 years, and our water is tested daily by an independent lab to ensure consistent quality. We are a family-owned company, and our dedicated team has worked hard to build a reputation for reliable service and great products. For more information on our services, give us a call today. You can also use the form on this page to send us an email and we’ll get back to you as soon as possible.